Health plans and their rates for next year's Exchange, Washington Healthplanfinder were approved by our office and certified by the Exchange board this week. Consumers shopping inside the Exchange will have 10 companies and 90 plans to choose from, depending on where they live. Not all plans are available in every county, but most people will have more choices and minimal rate changes. Additional insurers and plans for sale outside of the Exchange are still under review. There may be more plans for sale outside of the Exchange, but premium subsidies are not available. Open enrollment for inside and outside of the Exchange starts Nov. 15 and runs through Feb. 15, 2015. Check out the map below to see the 2015 plans and rates available in your county. Created through the Affordable Care Act law, the 80/20 rule, also known as the Medical Loss Ratio (MLR) rule, requires health insurers to spend at least 80 percent of premium money on patient care and quality improvement activities or pay a rebate back to consumers. A refund check in the mail. A lump-sum reimbursement to the same account that was used to pay the premium. A reduction in future premiums. If the consumer bought insurance through their employer, their employer must provide one of the above options, or apply the refund in another manner that benefits its employees, such as more generous benefits. In 2013, 9,605 Washington consumers received refunds totaling $792,846, an average of $122 per family. Read more about health care reform on our website. Questions? Contact our consumer advocates online or at 1-800-562-6900. A temporary special enrollment period begins today for those consumers who have experienced difficulties with enrollment in health plans on the Washington Healthplanfinder. Insurance Commissioner Mike Kreidler authorized the special enrollment period this week as another option to those who feel they might need more help. This voluntary special enrollment period starts Aug. 27 and runs through Nov. 14, 2014. Only people who attest to having enrollment, billing, or payment issues with an Exchange plan may change plans during this time. A list of answers to questions about this temporary special enrollment is available on our website. Many college students are heading back to college or starting their college careers this time of year. 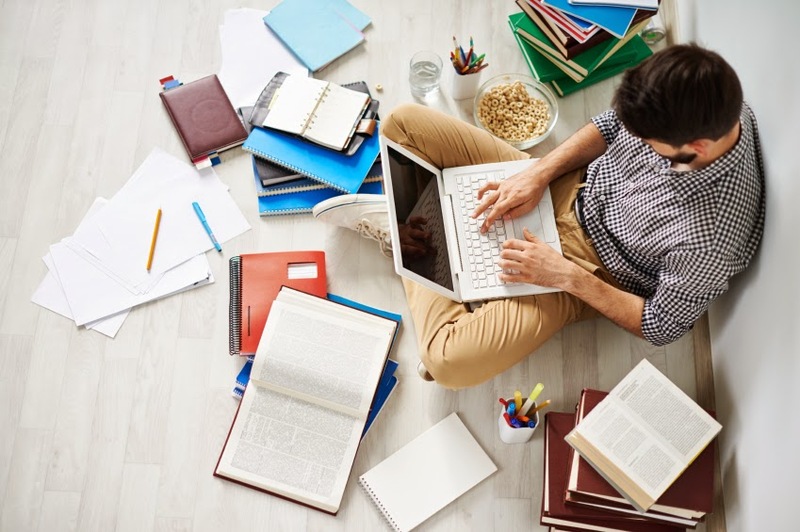 In addition to outfitting students with laptops and dorm room supplies, parents may want to think about whether their students are covered by the right insurance policies. For students who live in a dorm, typically the parents’ homeowner policy will cover the student’s personal belongings while they are away. The same is true for college students who live at home. Some policies may have a dollar limit for off-premises personal property, so check with your agent or broker to find out what your policy covers. If the student is renting an apartment or house, it’s worth looking into renter’s insurance. If you have a roommate, read our blog post, Living with someone? You may need your own policy to protect your belongings. Auto insurance policies typically don’t change once a driver goes to college, but it can’t hurt to check with your agent or broker if the car will be driven in another state for an extended period of time or, conversely, if the car will stay home while the student is in school and isn’t likely to be driven. You can also ask about any discounts they may have available for good grades or good driving records. Under the Affordable Care Act, parents can keep children on their health insurance policies until age 26. Read more about health insurance for families. We are hiring a Senior Financial Analyst (Financial Examiner 4) in our Tumwater office to help us monitor the financial health of insurance companies. This position is in our Company Supervision divison and is responsible for monitoring the financial condition of insurers and other entities and taking timely action to help these organizations' financial health so they can fulfill their obligations to consumers. This position also supervises three financial examiners and fills in as acting Chief Financial Analyst, when necessary. This position is open until filled. Read more or apply at careers.wa.gov. This week, the U.S. Department of Agriculture reported that a child born in 2013 will cost $245,340 to raise to the age of 18. That does not include the cost of a college education, or any other expenses if the child lives at home after age 17. The largest expense of raising a child is housing, followed by child care, education and food. What, you ask, does the cost of raising children have to do with insurance? If you have children under the age of 18 and you are considering purchasing or modifying a life insurance policy for yourself or your spouse, the cost of raising and educating children is one factor you may want to weigh. When you purchase life insurance, you should consider expenses your family will need to pay for when you are gone and how the loss of your salary will affect their ability to do that. We recommend you talk to your financial planner, insurance agent or broker when you are making decisions about life insurance. You can also read more about life insurance on our website. Are you curious about how much you may spend on raising your child? The USDA has a Cost of Raising a Child Calculator. August is National Children’s Eye Health and Safety Month, which is a good reminder for parents and caregivers to schedule a vision screening before or near the start of the school year. Very young children and children with special needs often have difficulty participating in an eye exam, and often those involved in a child’s care are the first to notice warning signs of an eye problem. Insurance plans may require a referral from your child’s primary care provider or pediatrician prior to scheduling a visit with an eye care provider. However, pediatric vision services are among the essential health benefits under the Affordable Care Act, which are the services that all individual and small employer health plans must include. If your child does not have insurance for eye exams or for prescription eyeglasses, assistance programs such as EyeCare America, InfantSEE and Prevent Blindness may be able to help. Washington consumers who don’t have health insurance for their children should contact Washington Healthplanfinder to find out if they qualify for Apple Health, our state’s Medicaid program. If you are the parent of a special needs child ages birth to age 3, contact Early Support for Infants and Toddlers through the state Department of Early Learning. Read more about how health insurance has changed for individuals and families. If you have questions about insurance in Washington state, contact our consumer advocates online or by phone at 1-800-562-6900. Seattle Children’s Hospital and Premera Blue Cross today reached an agreement to include the hospital in its medical networks, effective Sept. 1. Seattle Children’s Hospital initiated legal proceedings about a year ago when Premera, Regence Blue Shield and Coordinated Care decided against including the hospital and research facility in their medical networks because of cost concerns. Regence is working with the hospital on its own agreement, which could be done this week. The company and hospital representatives will have another conference with the hearings officer presiding over the case at 11 a.m. on Aug. 21. Coordinated Care earlier this year made a deal to include the hospital in its network and was removed from the case. “This is good news for consumers,” Kreidler said. “It represents the innovation that can occur when the marketplace is allowed to work. All parties deserve congratulations for the effort they have made and are making to ensure ready and affordable access to health care. The Premera deal was made in the late hours before the OIC’s hearings officer was scheduled to hear the case starting at 10 a.m. today. 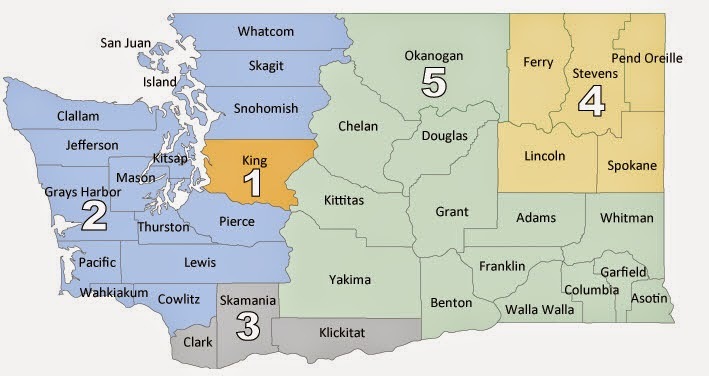 Kreidler’s office is currently reviewing proposed 2015 health care plans and is expected to start announcing the approved plans this week via the OIC’s online rate tool http://bit.ly/WAhealthrates. If you are sharing a residence with someone who isn’t a spouse or parent, you may not be covered if your belongings are stolen or damaged in a fire or other destructive event. When a homeowner or renter purchases insurance, the policy typically includes the named insured and the spouse, relatives and dependents under age 21 who live in the residence. If you live with a partner, a roommate or even a distant relative, you should consider a policy of your own. Talk to an agent or broker about the type of coverage you need to cover your belongings in the event of a break-in, fire, flood, landslide, or other event that could cause you to incur a loss. Find a licensed agent or broker. Some insurance companies might be willing to add two unrelated people to a renter policy, so check with your insurance agent of insurance company to see if this is an option for you. 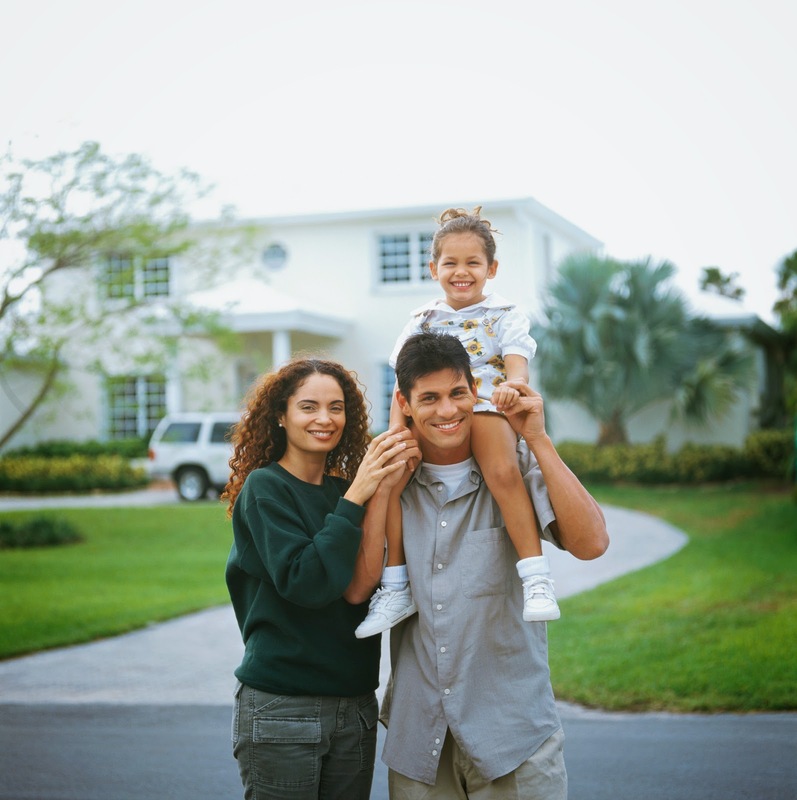 Read more about homeowner and renter insurance. People claiming to be law enforcement officials have been calling residents in the Spokane area recently, demanding money to stay out of jail for missing jury duty. Spokane police say the scam involves callers telling people they missed jury duty and have a bench warrant for their arrest. The scammer then asks for money over the phone. Police advise the public that police officers never call people, whether they have an arrest warrant or not, to request payment. If you receive such a call, hang up and call your local police department to report the incident. We sometimes hear from consumers who have had their car damaged or caused property damage or injury to someone else while participating in a car club event (think hot rod club or classic car club), car performance club, race club, or performance driving technique clubs or classes, and are upset because their personal auto policy won’t pay for the damage. This type of activity exclusion may also apply to motorcycle, RV, or possibly even boat coverage. Yes, that's right ... personal auto policies may exclude damage resulting from these activities. That means you may have no coverage whatsoever if anything happens to you, your passengers, your car, or other property or people you damage or injure while participating in these types of events. If you are a member of one of these groups, anticipate joining one or participating in any events associated with these types of organizations or activities, you need to first read your personal auto, motorcycle, RV or boat policy, and then talk to your agent or insurer to find out what is or is not covered by your policy. Read more about auto insurance on our website. Questions? You can contact our consumer advocates online or by phone at 1-800-562-6900. Each year, OIC releases a report that contains financial and market information about companies that sell insurance to Washington consumers. We are required by state law to publish the information, which we collect from the National Association of Insurance Commissioners. We collect information about the companies’ financial statements—assets, liabilities, income—a summary of their loss ratios and an accounting of how much money they charge consumers, which is called a premium. We also rank the top companies in Washington by market share, which is the number of policies they sell in comparison to the other companies. While there is quite a lot of dry financial information in the report, there are some interesting facts about the state’s insurance market. In 2013, we regulated nearly 2,300 insurance companies and more than 140,000 insurance agents and brokers. Our job is to make sure they follow state insurance laws, which are set up to protect consumers. Why do we protect consumers? Because Washington consumers paid insurance companies $34 billion in 2013 to cover losses they may incur on their homes, cars, valuables and other possessions and to pay for their medical expenses. Group Health Cooperative Group, with 20 percent of the market and $3.3 billion in written premiums. Cambia Health Solutions, Inc., which includes Regence Blue Shield, with 16 percent of the market and $2.6 billion in written premiums. Premera Blue Cross Group, with 15 percent of the market and $2.5 billion in written premiums. Liberty Mutual Group, with 11.4 percent of the market and just over $1 billion in written premiums. State Farm Group, with 10.8 percent of the market and over $980 million in written premiums. Farmers Insurance Group, with 7.6 percent of the market and over $691 million in written premiums. Allstate Insurance Group, with 7 percent of the market and over $635 million in written premiums. United Service Automobile Association Group, with 5 percent of the market and over $454 million in written premium. Group Health Cooperative, with 13.8 percent of the market and $2.2 billion in written premiums. Regence BlueShield, with 13.5 percent of the market and over $2.1 billion in written premiums. Premera Blue Cross, with 12.5 percent of the market and over $2 billion in written premiums. Farmers Insurance with 4.5 percent of the market and over $412 million in written premiums. Pemco with 3.8 percent of the market and over $345 million in written premiums. Mutual of Enumclaw with 1.9 percent of the market and over $177 million in written premiums. View the 2013 annual report on our website.